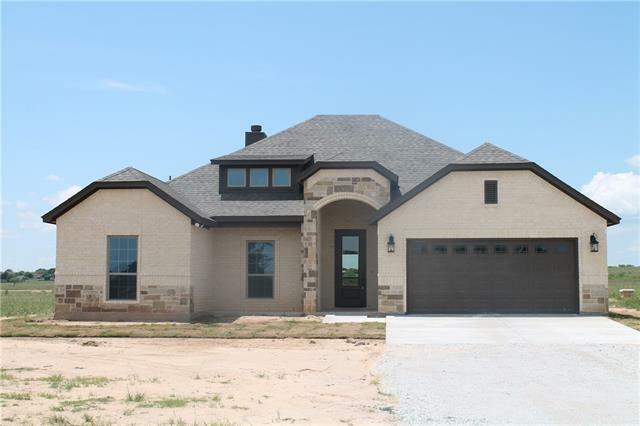 All Brock homes currently listed for sale in Brock as of 04/25/2019 are shown below. You can change the search criteria at any time by pressing the 'Change Search' button below. If you have any questions or you would like more information about any Brock homes for sale or other Brock real estate, please contact us and one of our knowledgeable Brock REALTORS® would be pleased to assist you. "Cowboy's Castle in BROCK AMERICA! 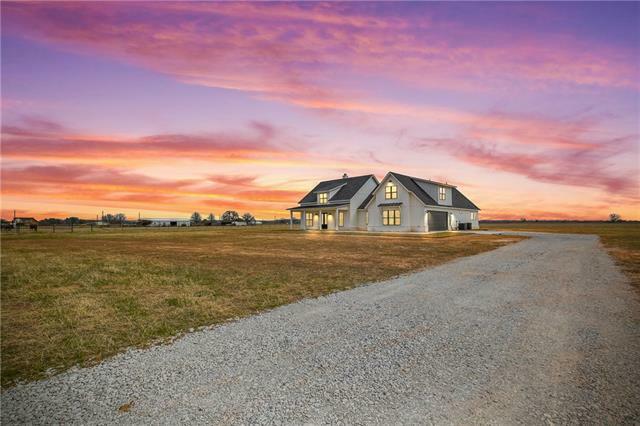 107+ - acres of incredible grazing pasture and hay fields. Fenced and cross fenced with stock tank, working pen, and sturdy all purpose barn. MASSIVE LIVE OAKS surround the vintage rock farmhouse with tin roof. Hardwood floors, custom bead board trim, and brick accents highlight this remodeled country charmer. Sitting on the back porch overlooking the herd and open pasture framed by massive trees is a thing the seller will truly miss. Abundant wildlife! 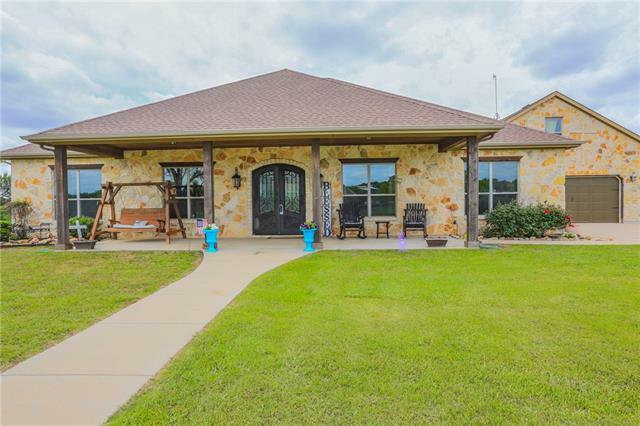 Deer"
"Beautiful Farmhouse in Brock ISD. Super nice kitchen and living area. 11 ACRES fronting Interstate 20 on the service road. HARD CORNER !!!! Property has been home to longtime wholesale nursery and comes with all greenhouses. Good water and extremely convenient. Massive 4 Bedroom with lots of open porch space. 1250 sq ft cedar lined garage. Carport and 24 x 24 underground storm shelter. 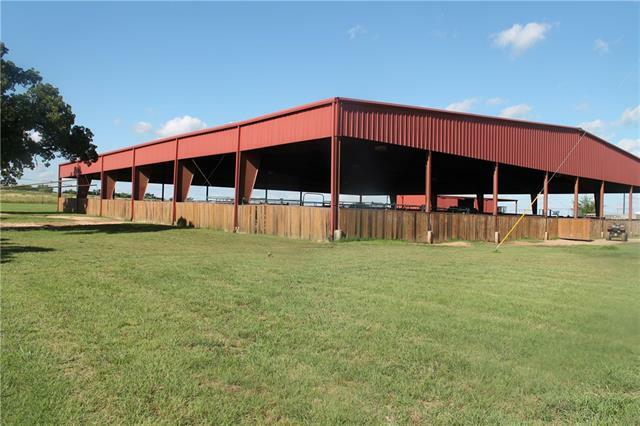 Double wide trailer, multiple barns, and office included. MOTIVATED SELLER!!!!" 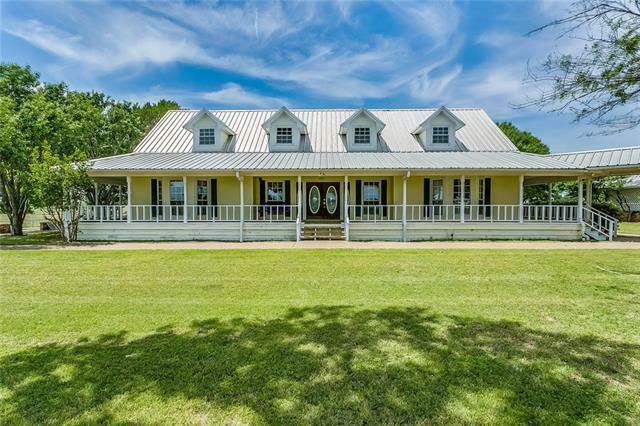 "Amazing 4,500 sq ft farmhouse on 22 acres with two master suites and a huge wrap around porch. Overlook your herd from the porch swing in the front two coastal pastures where all fences and cross fences are pipe and most are straight. Large stock tank with great run off provides the view from the massive master suite. 2 Fireplaces and Sun room!! 2 Water Wells !!! Multiple great barns and a few that need some help! Massive hay barn!! Truly incredible westward views. Big house with big rooms "
"Location!! This is one of the most unique properties in highly sought after BROCK ISD. The property sits on 12.1 acres and on a corner lot 4 miles from Brock Schools. Coastal field, 60 x 40 Barn, 300 SF apartment, shop, stock pond, water well, co-op water, crossed fenced all tie in with the beautiful landscaped yard. 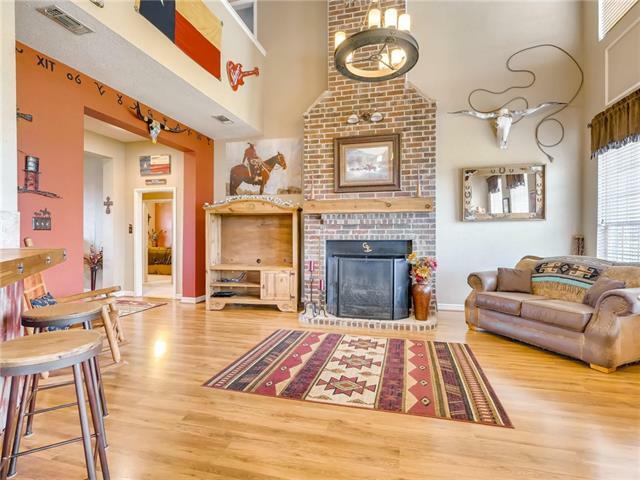 2392 SF custom built two story home and wood burning rock fireplace all with a western feel make this home superior to all others. It is very secluded and no restrictions. 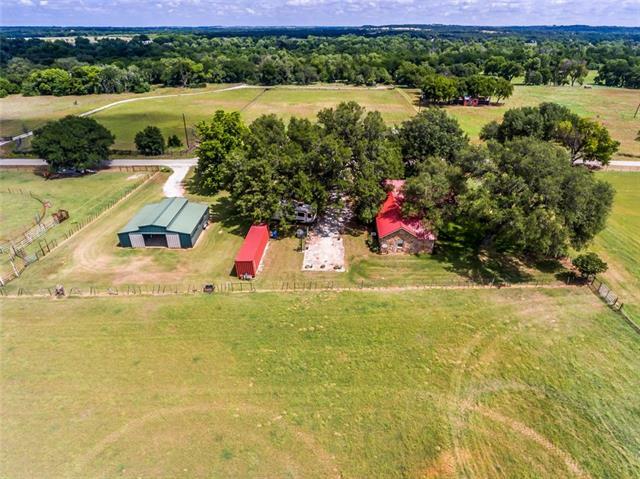 Bring"
"10 acres in a great location of Brock ISD! This property has a beautiful custom 2 story home 4 bedroom 4 bath. Large open living area with high ceilings and wood burning fireplace. A great open kitchen perfect for entertaining. 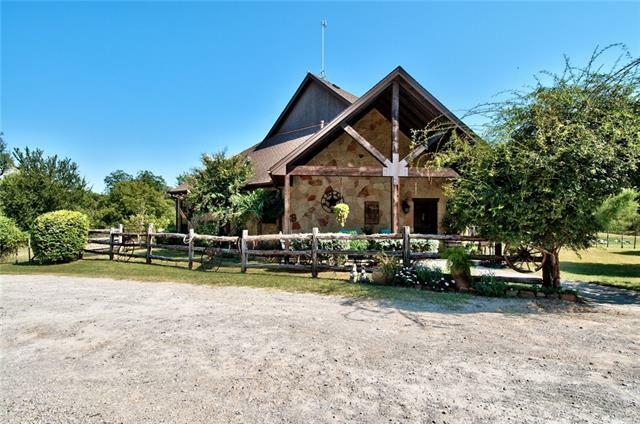 Outside boast a Horse barn with 4 stalls, tack room and shop. Round pen and Lighted Roping Arena with stripping chute, and return alley. Property is completely fenced for horses with 6 separate pastures. Property is currently Ag Exempt." "BROCK ISD. Great location, quiet road and minutes from the BROCK SCHOOLS. (MORE ACREAGE AVAILABLE). New laminate wood flooring in the home. ARENA 150 x 150; 15 STALL BARN with 12 - 12x25 turn-out pens; 6 HORSE HOT WALKER; HAY BARN 60x40; CROSS FENCED with TURN OUT PASTURES with shade and water access. BUILD YOUR DREAM HOME. This could be an income producing property." "Offering a New meticulously Constructed Modern Farmhouse on 7 acres covered in lush Coastal Bermuda. Relax & Entertain in the Grand family room by the wood burning fireplace, finished with hardwood floors and large windows providing ample natural light. This gorgeous kitchen will stun your guests with its luxurious island & counters adorned with natural stone granite, highlighted by painted cabinets and Stainless Steel appliances. The split 5 bedroom design provides a private master suite oasis "
"Absolutely stunning 4 BR plus office in Coveted BROCK ISD. You will immediately feel the pride in ownership of this home. Prepare to be amazed by the serenity of this place. Enjoy the outdoor patio with built in gas fireplace overlooking the nicely wooded creek. Beautifully manicured flower beds, sprinkler system, stock tank, and so many more features you have to see.. 4th bedroom is above the the garage & has full bath, it would be great for game room, separate living, or flex room.. the possi"
"A large family DREAMHOME! 5 BR, 4 BATHS with 2 living areas. Beautifully situated on an EXCLUSIVE GOLF COURSE, Canyon West. A NEW HOME with custom built features throughout. 4 BEDROOMS downstairs with additional bedroom and living upstairs. One of the rooms is marked as a study with a really large closet! The amenities of the golf course are very well kept and the views are exceptional! The BROCK School District is well sought after, too! 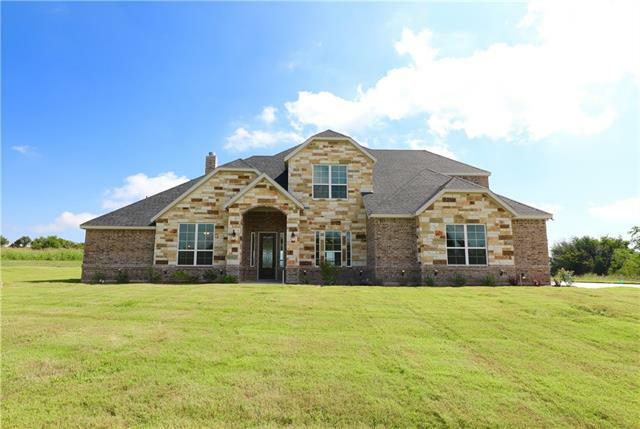 Please verify all measurements and information provided"
"One of a kind listing in BROCK ISD!! Bring your horses, livestock is allowed!! This 2,835 sqft split bedroom home features 4 bedrooms and 3 and half baths! 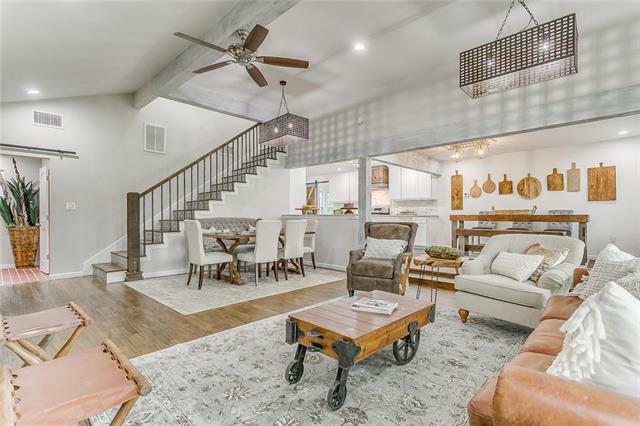 Modern Farmhouse touches include a soaring ship-lap 16ft entry wall, hand-painted concrete tile above the stove to complement subway tile backslash and half bath floor and beautiful farmhouse lighting package. 2 bedrooms are off to one side of the home and share a jack and jill bath with a beautiful desk - office area in the hall. Built in ca"
"Welcome home to the Farmhouses at Magnolia Place! 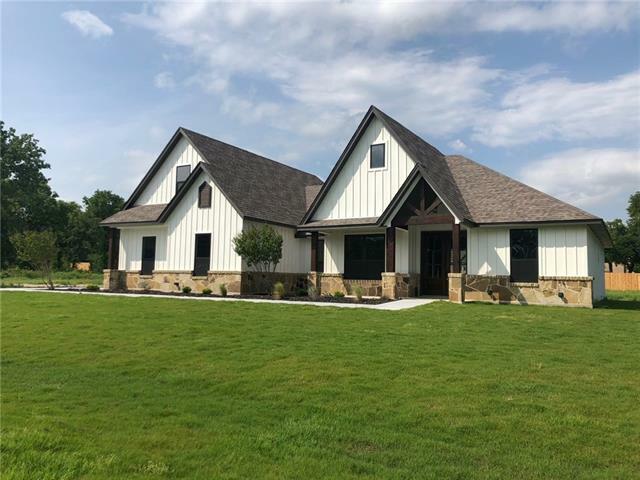 This stunning 4 bedroom 3 bathroom home features shiplap, sliding barn doors, board and batten siding, double front entry doors, and a beautiful farmhouse lighting package! One of only 13 home sites available in this coveted subdivision off Taylor Rd, this home has plenty of space for the growing family! 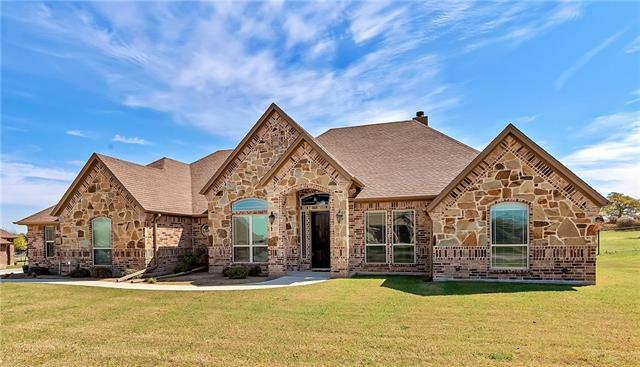 Upgrades include a high end lighting package from Fort Worth Lighting, granite throughout, wood floor in living and entry, 12x24in tile and cust"
"BROCK ISD WITH BEST OF BOTH WORLDS Excellent 3BR 2BA 2GA Barndominium as main home or use as guest house and build your own custom home. Nicely appointed Barndominium features laminate flooring, fresh paint, covered porch, and covered deck. 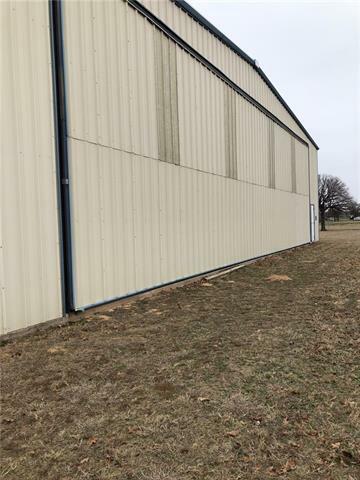 6.12 Acres with 18 X30 Insulated Shop with water and electricity and featuring a rollup door as well as a side door. RV Pad, small barn, and pond round out this offering." "Great opportunity to live in this beautiful Brock neighborhood! You'll love the gorgeous hardwood floors, custom home touches and open floor plan. Enjoy the spacious living room with floor to ceiling stone fireplace, beautiful kitchen with granite counters, ss appliances and decorative lighting, formal dining, study, game room, three bedrooms with the master separate from the other bedrooms, three full bathrooms and a three car garage. Great back patio and 1.29 acres for play! A unique featu"
"This is not a house; Almost 3 acre home site on private airstrip with 5,846 sqft hangar. Very wide motorized overhead door for large plane. Interior has weight durable floored loft along one side of interior for either storage or putting in living quarters. 3 walk through exterior doors, 1 regular overhead door, 1 over sized overhead door for plane. Permanently installed overhead boom with hoist that runs the width of hangar. This is a subdivision of homes and hangars on a private airstrip. " "DESIGNER REMODEL BROCK ISD! !This home is stunning from the home to the setting! Nestled among large oak trees and completed renovated inside and out!Perfect for entertaining indoors or outdoors! The attention to detail in each room will not disappoint! Special features include:barn doors, forged hardware, master soaker tub, large pictures windows, hardwood floors, wine closet with custom wine racks, large pantry-utility with tons of cabinets and brick flooring, custom wood slab counter in half b"
"This is in the highly acclaimed BROCK ISD, around the corner from the schools, and easy access to I20. 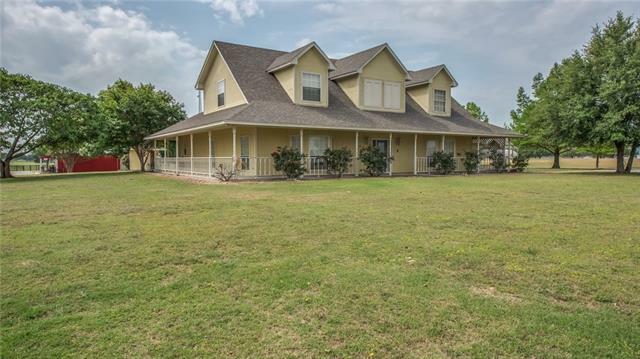 Live in the country with only 30 minutes to Fort Worth! This custom built home exhibits attention to detail with the chefs kitchen, stainless appliances, kitchen island...As you enter the home you are greeted with an impressive foyer leading you to the family room looking out over the large back yard on this 2 acre lot. The open concept makes for a perfect family living space. 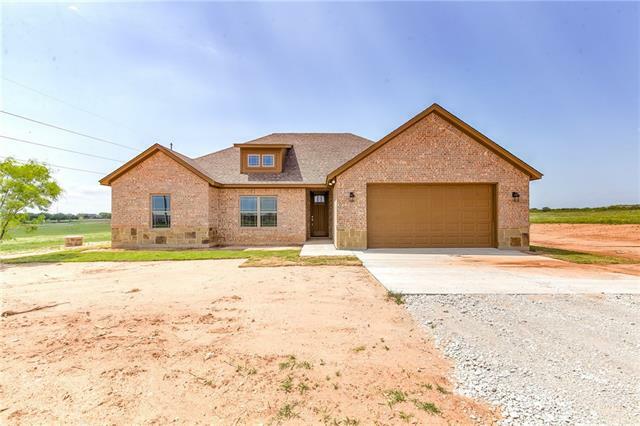 Bring your hors"
"This is another amazing New Construction home by CH homes is located in Brock ISD. The home is centrally located in Brock and a quick drive to all the schools. This open concept home is situated on 2 acres and includes your own private well. This home Is offered with quartz counters which is typically a major upgrade with additional cost. 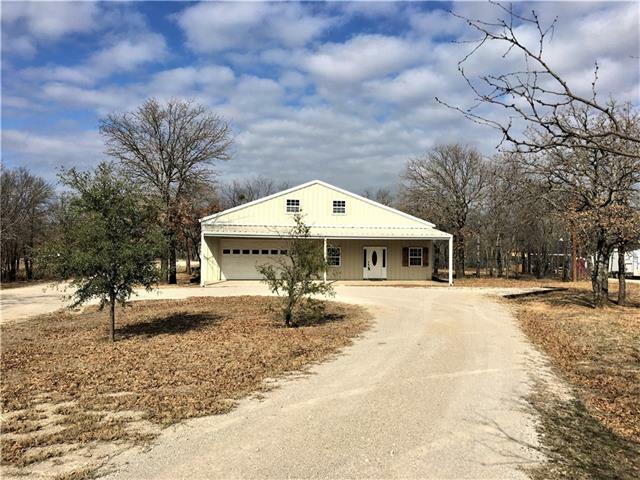 This property will allow horses and a shop or barn with no HOA and minimal restrictions. Contact us today before this home is SOLD!" "$2500 towards closing costs with builder's preferred lender! Elegance and luxury come together in this Texas rustic designed home. Open floor plan, soaring ceilings, wood beams, furniture style cabinetry, granite, spacious master, amazing master bathroom. Nestled among larger ranches these Beautiful 2 acre Lots in Parker County have Beautiful Oak Trees and Sandy Loam soil. It is the perfect time to take a look at this 2647 square foot floor plan and make your own decision on the finishing to"